With all of the concerns facing modern college students, retirement is rarely a topic of conversation. After all, you're probably wondering how to pay for four years or more of higher education, not save money you won't use for at least 40 years. However, retirement does come up once in a while and it's quite likely you've heard Roth IRAs mentioned at some point. So what are they and why do people keep talking about them? A Roth IRA is a retirement account, true, but it's much more. It's a savings vehicle, emergency fund and tax reduction strategy all in one. Even better, it offers advantages to students and young people like yourself, for whom retirement may seem like a far-off idea. 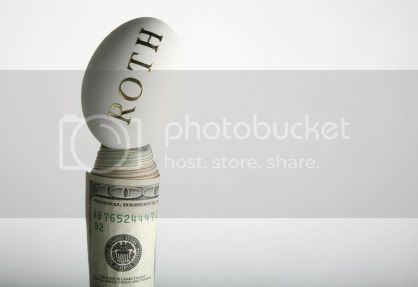 Here's the main attraction of Roth IRAs: You put up to $5,000 per year into it now, let it accumulate interest and other earnings for the next several decades so it grows to be much bigger than the amount you put it. You take all the money out after you retire and you never pay taxes on the earnings from all those years. That's right--the taxes on a lifetime of compounded interest, dividends and so forth are not just put off or taxed at a reduced rate. Your taxes on them will be exactly zero, as long as you play by the rules. One thing a Roth IRA does not do is give you a tax deduction when you put money into it like a traditional IRA or 401(k). For most young people, that's no great loss; they're probably paying few, if any, income taxes yet. Besides, you enjoy tax-free withdrawals anyway. But, you say, what if I need the money now? That's where Roth IRAs are really flexible. Say you make a contribution and next month your car needs a new transmission. As long as the due date for your tax return hasn't passed, you can take your contribution plus any earnings back out as if you never made it in the first place. You can also withdraw your contributions (not earnings on them) anytime without penalty. In that way, your Roth IRA also doubles as a safety net for emergencies.